Celeste for girls are a replica of the Celeste leggings for women. 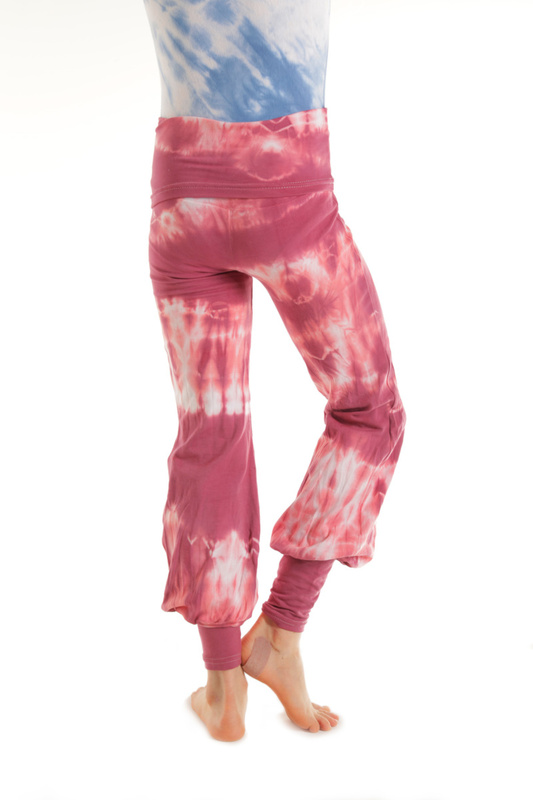 They come in every tie-dye colour and solid black. They are all custom dyed and never the same. Special colour requests and mixes accepted on demand at any time. Fabric is 90% cotton and 10 % lycra and washing instructions are cold wash dark colours hang to dry. 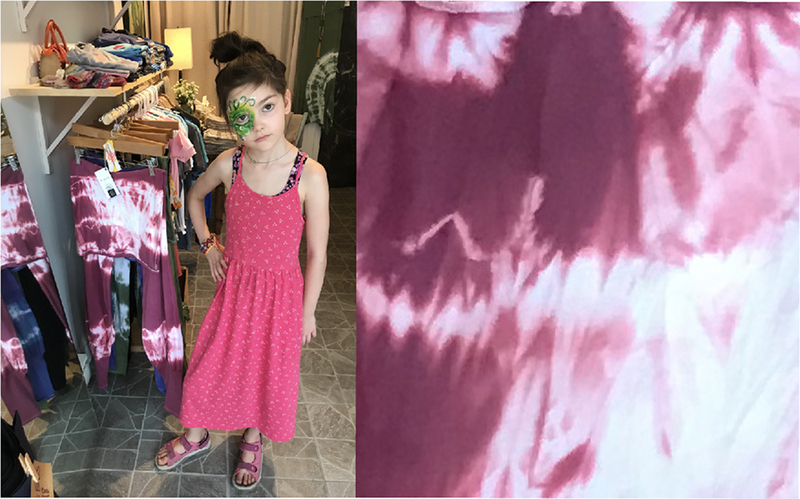 When the little ladies sparkling eyes twinkled at the sight of 88 Queen st. Celeste leggings, it just made so much sense. 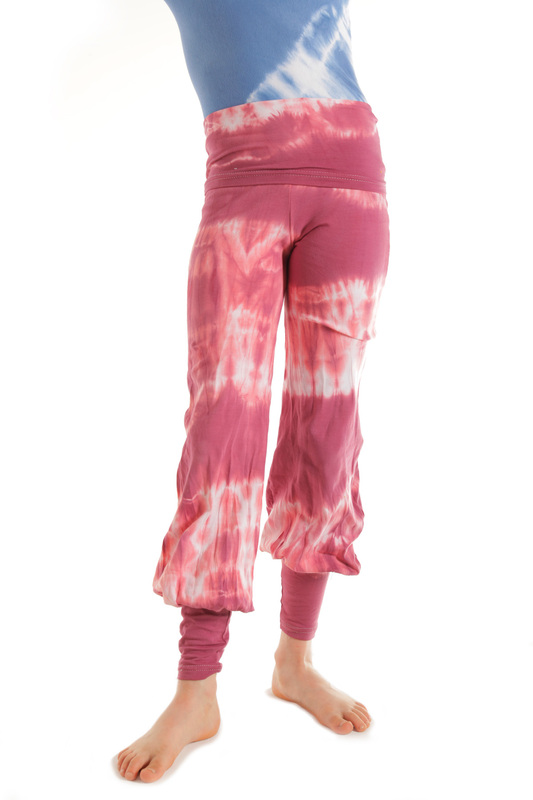 These crazy pants were meant to be worn by little dancing legs. 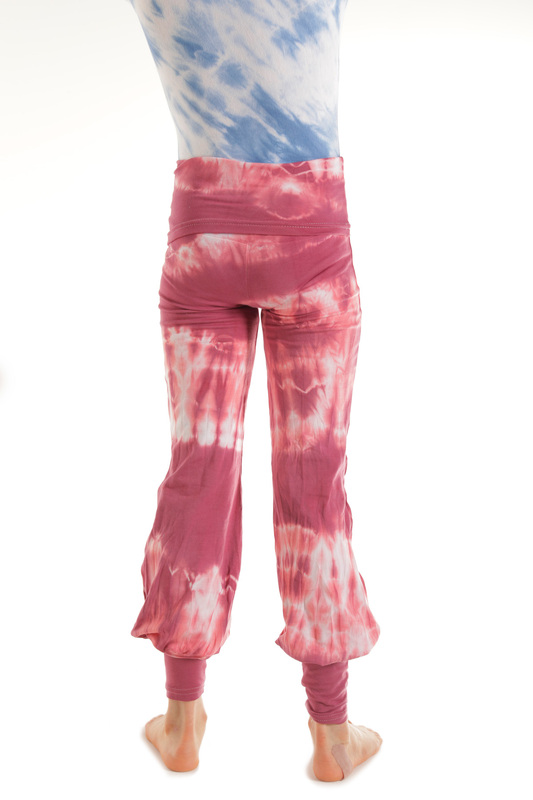 Its obvious 88 tie-dye easy to wear comfy items had to be created for the mini daughters and sisters. Frédérique, daughter of Mireille HaraKiri design was the first mini owner of 88 Queen st. girly pieces. She is a bohemian, atypical , anticonformist little Bugger and has inspired many items.